“Politics is a good thing!” … is the slogan of Dr. Larry J. Sabato. According to the Wall Street Journal, Dr. Sabato is “probably the most quoted college professor in the land” and his Crystal Ball electoral analysis is the nation’s most accurate. In July 2008, Dr. Sabato correctly projected that Barack Obama would win the presidency in a near-landslide. He predicted a 364-174 margin in the Electoral College, just one vote away from the final tally of 365-173, as well as the correct popular vote percentages. He also accurately predicted 99% of Senate, House, and Governor winners—by far the best showing in the business. His spectacular record of predicting elections is not new. In 2006, for example, he was named the most accurate prognosticator by an unusual combination of news organizations: FOX News, MSNBC, CNBC, and Pew's Project for Excellence in Journalism. In 2006 Dr. Sabato was the only national analyst to call the Senate and House contests on the button. At home both in the classroom and the television studio, Dr. Sabato bridges the gap between the ivory tower and the real world of politics. The author of over 20 books and countless essays on politics, Dr. Sabato has taught more than 14,000 students in his career at Oxford University, Cambridge University, and the University of Virginia. He has received every major teaching award at the University of Virginia, and in 2001 he was named the Thomas Jefferson Award winner, U.Va’s highest honor that has been given to one person each year since the 1950s. Dr. Sabato is the University Professor of Politics and director of the U.Va. 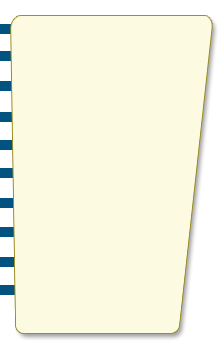 Center for Politics (www.centerforpolitics.org), founded in 1998 to improve civic education and the political process. 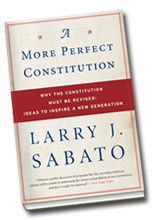 His latest book is A More Perfect Constitution, now out in paperback. Another volume, The Year ofObama: How Barack Obama Won the Presidency, will be published in March 2009. Be sure to check out “Sabato’s Crystal Ball,” a free website designed for the general public and dedicated to the analysis and prediction of upcoming races for Governor, House, Senate, and President (www.centerforpolitics.org/crystalball). Previously, Sabato released THE SIXTH YEAR ITCH: The Rise and Fall of the George W. Bush Presidency (Longman, 2007) detailed the 2006 mid-term Congressional election. DIVIDED STATES OF AMERICA: The Slash and Burn Politics of the 2004 Presidential Election (Longman, 2005), which broke down the 2004 races and provided a jumping off point for the 2006 and 2008 contests. Dr. Sabato is also regularly updating "Sabato's Crystal Ball," a critically acclaimed election analysis website founded in 2002, which recorded the most accurate election predictions in the country, correctly predicting every contest for the U.S. Senate, all but one gubernatorial race, and a net party change of 29 seats in the U.S. House (www.centerforpolitics.org/crystalball). The author of over twenty books and countless essays on the American political process, other recent books are Get in the Booth! A Citizen's Guide to the 2004 Election (Longman, 2004), Midterm Madness: The Elections of 2002 (Rowman & Littlefield 2003), Overtime: The Election 2000 Thriller (Longman, 2001), and Dangerous Democracy: The Battle Over Ballot Initiatives in America (Rowman & Littlefield, 2001). Others include Peepshow: Media and Politics in an Age of Scandal (Rowman & Littlefield, 2000), Toward the Millennium: The Elections of 1996 (Allyn and Bacon, 1997), and Dirty Little Secrets: The Persistence of Corruption in American Politics (Random House/Times Books, 1996). Prior to the publication of these volumes, Dr. Sabato’s best known book was entitled Feeding Frenzy: Attack Journalism & American Politics. Originally published in 1991 and again in 1993 by the Free Press/Macmillan, the book made the now universally used phrase a part of the political lexicon and is required reading for anyone involved in politics today. An updated edition was published by Lanahan Press in 2000. Five of Dr. Sabato’s other well-known books are: PAC Power: Inside the World of Political Action Committees, which focuses on the phenomenal growth of PACs and their influence on American elections); The Party’s Just Begun: Shaping Political Parties for America's Future (Little Brown and Co., 1988), which examines the condition of the political parties and proposes ways to strengthen them; Paying for Elections (The Twentieth Century Fund, 1989), which advocates reforms in the financing of campaigns; Campaigns and Elections (Scott, Foresman, 1989), a source book of the new techniques used in American politics; and American Government: Continuity and Change (Addison Wesley Longman), co-authored with Karen O'Connor of American University (5th Edition - 2002). Dr. Sabato’s earlier books include an investigation of the influential corps of American political consultants and their new campaign technologies (such as polling, direct mail, and television advertising) entitled, The Rise of Political Consultants: New Ways of Winning Elections (New York: Basic Books, 1981); and a study of American state governors over thirty years, Goodbye to Good-Time Charlie: The American Governorship Transformed (Washington, D. C.: Congressional Quarterly Press, 1983-Second Edition). Other books and monographs have been written about Virginia politics, including a study of the rise and fall of the Democratic machine in Virginia, The Democratic Party Primary: Tantamount to Election No Longer (Charlottesville: The University Press of Virginia, 1977). He is the author of the nine-volume Virginia Votes series chronicling all state elections, as well as many articles on national and state politics. Dr. Sabato has served on many national and state commissions, including the National Commission for the Renewal of American Democracy, the U.S. Senate Campaign Finance Reform Panel, the Governor's Commission on Campaign Finance Reform, Government Accountability, and Ethics, and the Governor's Blue Ribbon Commission on Higher Education. Far more importantly, however, he has had the privilege to teach over 13,000 students during his career. Dr. Sabato is the recipient of more than two-dozen major scholarships, grants, and academic awards, including a National Endowment for the Humanities Fellowship, the Outstanding Young Teacher Award from the University of Virginia, and Outstanding Professor Award from the Virginia State Council of Higher Education, the U.Va. Outstanding Professor Award of 2000, and inclusion among the “Top-Ten-All-Time Favorite Teachers” by U.Va.’s Alumni Association. His visiting appointments include that of Guest Scholar at the Brookings Institution and Thomas Jefferson Visiting Fellow at Downing College, Cambridge University, England. In 2002, the University of Virginia conferred upon Dr. Sabato its highest honor, The Thomas Jefferson Award, given annually to one individual since 1955. 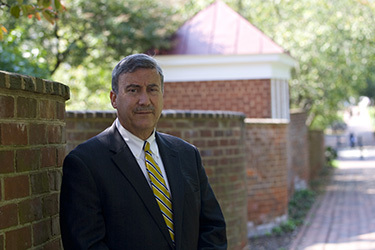 At the University of Virginia Center for Politics (www.centerforpolitics.org), founded in 1998, Dr. Sabato brings his years of academic study together with an equally long career as both a political practitioner and commentator on local, state and national elections. The Center represents Dr. Sabato’s mission: to improve civic education and the political process, and in doing so make government more relevant, more accessible and more meaningful for the average American. The Center has a dedicated staff of over a dozen, and its signature program, the National Youth Leadership Initiative, currently involves over 800,000 middle and high school students in all 50 states. In six years, Sabato has raised over $7 million in public and private funds to support the Center's many programs, conferences, and publications.